Discover how speciality cheeses can elevate basic dishes to stand-out favorites. 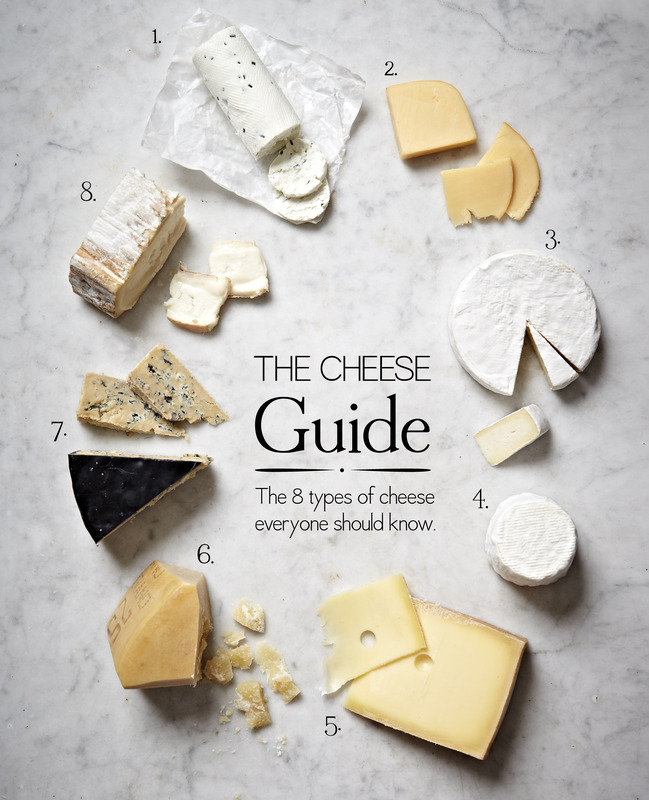 From not-so-standard grilled cheese to decadent side dishes and appetizers, we want to inspire you to ‘just say cheese.’ The sea of cheeses we often find at our local grocery store can be intimidating — and confusing — when it’s time to make a purchase. 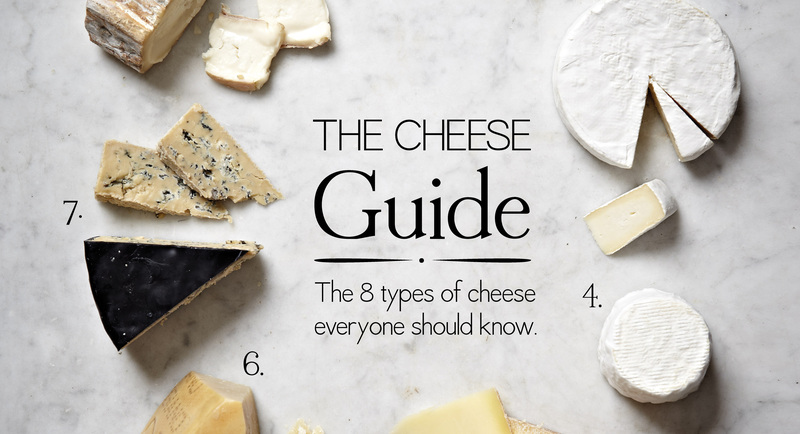 By learning the eight basic styles of cheese, you can take cheese buying from exasperating to exhilarating. 1. Fresh Cheeses: Fresh cheeses are ready to eat as soon as they are made — no aging required. For these mild-flavored cheeses, milk is curdled and drained with little other processing. Examples include cottage cheese, Ricotta and goat’s milk Chèvre. 2. Mild Semi-Soft Cheeses: Mild, semi-soft cheeses are often aged from a few days to a few months. These cheeses, such as Monterey Jack, fontina and Havarti, have high moisture content and melt beautifully under heat. 3. Soft-Ripened Cheeses: Distinguished by their white, velvety rinds and creamy interiors, these cheeses get softer instead of harder as they age. Popular choices include Brie and Camembert. 4. Surface-Ripened Cheeses: Surface-ripened cheeses can have a wrinkly rind, such as many French and American goat cheeses, or a thin rind containing runny or molten cheese within. Special molds ensure that their exteriors ripen first. 5. Semi-Hard Cheeses: A broad category that can include Swiss, Cheddar and colby, these firm, but moist, cheeses are perfect for grilled cheese sandwiches and often add nutty flavors to soufflés. 6. Hard Cheeses: These well-aged cheeses such as Gouda, Asiago and Parmigiano-Reggiano are defined by their firm, crumbly texture and salty taste. They’re often grated and used for seasoning soups and pasta dishes. 7. Blue Cheeses: Blue cheeses get their distinct color from rich veins of mold that often give them an assertive, piquant flavor. Their texture can be soft or firm; well-known types include Roquefort, Gorgonzola and Stilton. 8. Washed-Rind Cheeses: These cheeses get their characteristic orange-pink rinds from being repeatedly “washed” with liquid such as saltwater, brine or alcohol (often beer or brandy). Washed-rind cheeses can be soft (Limburger) semi-hard (Muenster) or hard (Appenzeller). Like this post? Visit our foodie board on Pinterest.